Our Alexandria Volkswagen dealership is happy to provide our customers with the parts they need. We understand the importance of vehicle maintenance, which includes quality equipment to help extend your VW car or SUV’s longevity. If you are shopping for VW parts to help your vehicle perform better, we’ve got you covered in Alexandria, VA. 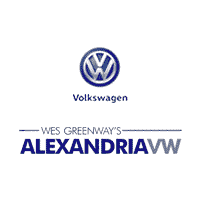 The Alexandria Volkswagen website conveniently allows drivers in need of Volkswagen parts or accessories to place their order online from our location conveniently located near Arlington. Whether you’re looking for the best auto parts Alexandria, VA has to offer or need expert advice on installation, we’re here to help. Our selection of Volkswagen OEM parts ensures that drivers from Washington DC and beyond can find what they need, and rotating parts specials help them find a great price.